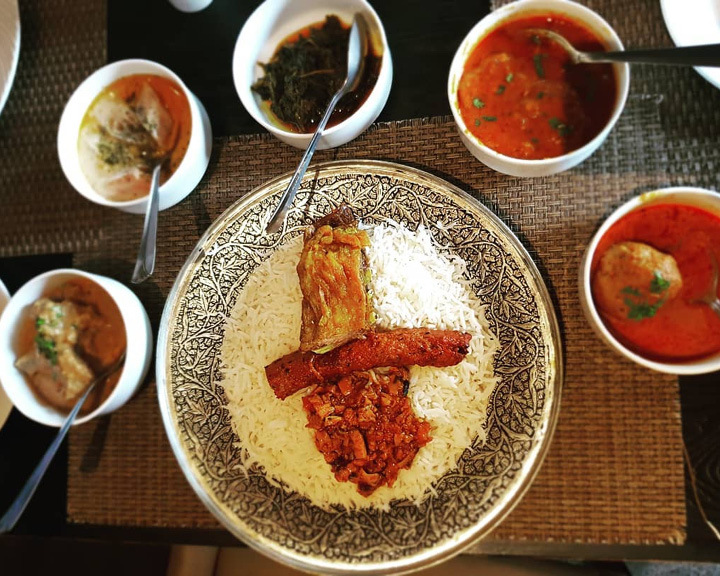 If you are on your way to a vacation in Srinagar, you ought to know just the places you should dine at to truly devour Kashmir and all its eccentricities, including the culinary ones. P.S. This list may be a bit of a bummer for vegetarians as Kashmir’s diet is mostly carnivorous with all the delicious meat and fish preparations, thanks to its Mughal roots. Vegetarian or not, there’s no reason why you shouldn’t relish a steaming hot plate of red kidney beans (lovingly called rajmah) with generous amounts of rice. 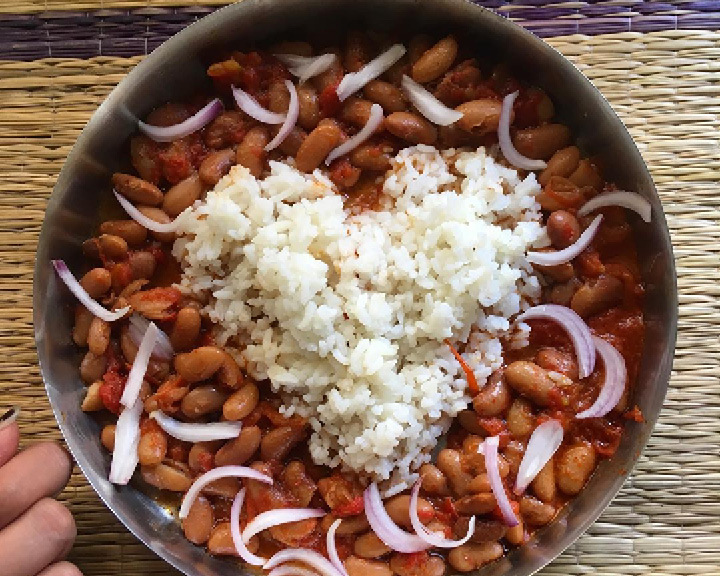 The tomato-based beans and rice dish is served with the culinary equivalent of a warm welcome, i.e. big dollops of ghee and a rather unusual pomegranate chutney. Try the Rajmah Chawal at Peera, which falls on the way to Srinagar and, in our opinion, is the most apt beginning of a journey of a lifetime. 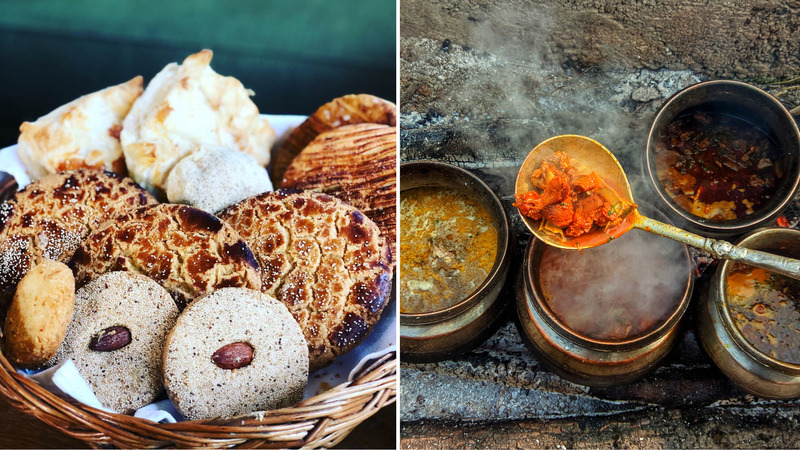 Now that you’re in Srinagar and strolling around the streets, you will need a hearty, warm breakfast to help you cope with the weather and more so, the sheer excitement of being in Kashmir. 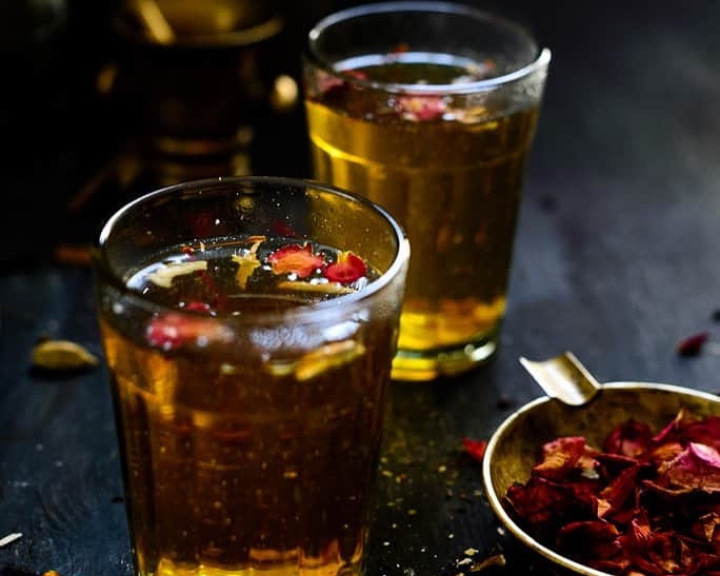 Try the sheer chai or noon chai, distinctive in its pink colour (courtesy the bicarbonate of Soda) in it and its salty taste. Pair it up with either tsot, baqerkhani, lavas, or kulcha. Best place to have them? Look for the roadside bakery with the most crowd around it. Simple! No mention of Kashmiri food can go without the mention of Wazwan. Even though Wazwan is the feast of celebrations and occasions, you can find wazwan tasting platters on restaurant menus as well. It is no less than a king’s feast and includes a selection of the choicest Kashmiri delicacies. This should make for the perfect introduction of your palette to the Kashmiri culinary distinctiveness. 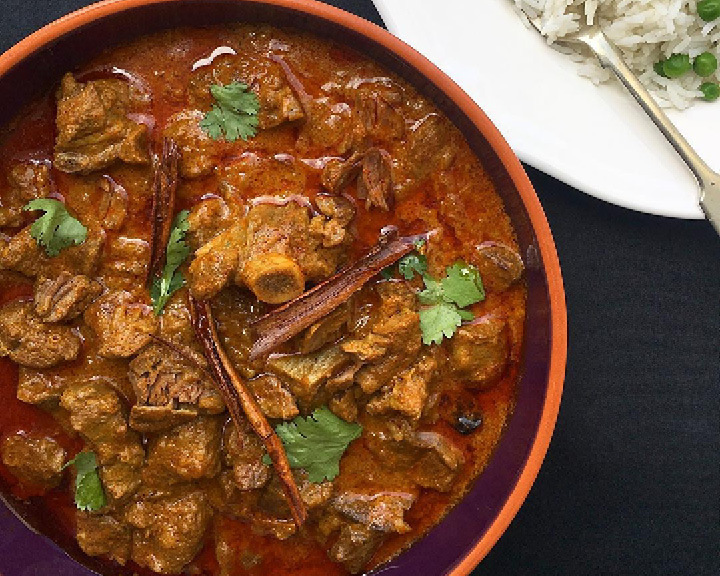 Try the Wazwan and Mughal Durbar which includes Rogan Josh, Gushtaba, Mutton Yakhni, Kashmiri Pilaf, Rista. Malai Kofta and Shahi Naan, among other dishes. If this sounds way too much of a food onslaught, you can always order your choice of dishes individually. Come evening, it is time to head for snacks after a surreal viewing of the sunset from the Dal lake. Roadside stalls selling lotus stems, potatoes and peas deep fried in gram flour. The hot green tea infused with cardamom and saffron help you take it all in without getting your stomach and your senses overwhelmed. The hot and the spicy from the knick-knacks feel like a hug from within in the freezing weather. Lastly, for your dinner, nothing but Rogan Josh, a thick red-coloured tangy curry of onion, garlic, aromatics, Kashmiri chillies, will do. The Nadru Yakhni is a preparation of mildly spiced lotus stem cooked in a yoghurt-based curry and is one of the most unique and signature dishes you will find in Srinagar. Clean it up with some naan or roti followed by a serving of the delectable phirni and of course, kahwa to cleanse the palette and digest all the spicy, meaty extravaganza. 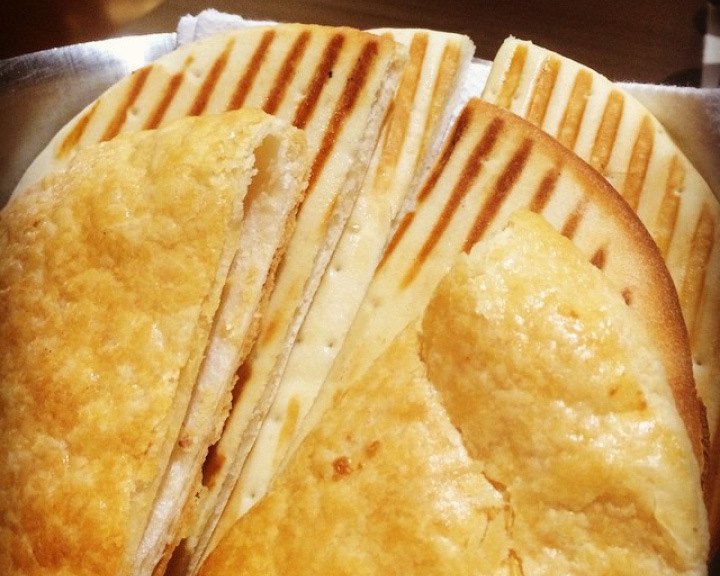 We suggest you try Ahdoos, one of Srinagar’s most well known restaurants for delectable local food.